Please join us Wednesday, December 14 from 10-12 for an open house social! 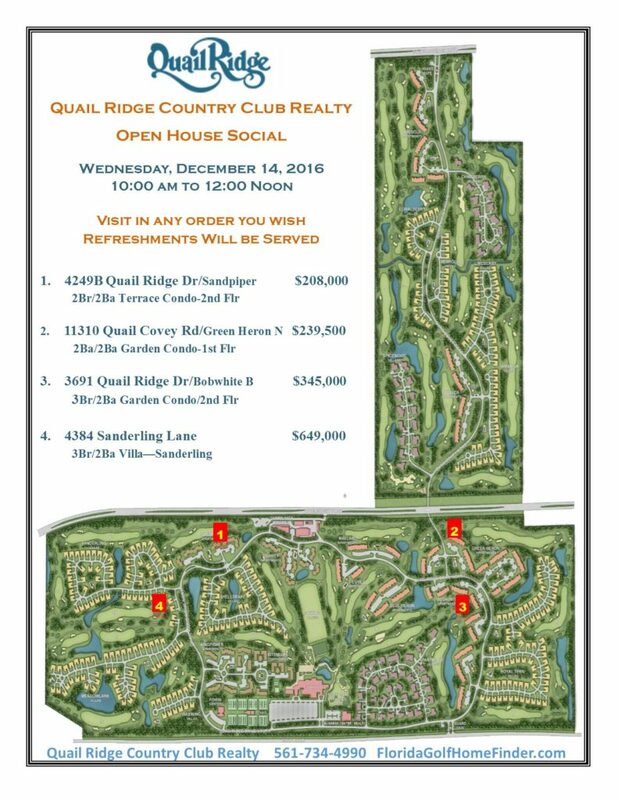 We will have 4 beautiful properties available for all to see. Maps are available at the security gate or in our real estate office. We do hope you and a friend or two can join us for a fun morning! All these homes have been beautifully updated!